Ever since Yahoo Hosting became Aabaco hosting I have been bombarded with people asking me questions about Yahoo and Aabaco. There are hundreds of comments over on my main page Problems with Aabaco Small Business Hosting after Yahoo Move. With so many different problems with Aabaco I have decided to begin answer the questions in various articles such as this one. If people see an SSL error instead of your website, they are going to leave. DJ, if you are unable to communicate with Aabaco for weeks at a time I would switch to a company that has tech support available to you. 10 minutes or less is about the maximum amount of response time I expect from web hosts. I personally use Bluehost for some of the websites that I work with. Currently their WordPress hosting is $4/mo which is great. You can also see the other hosts I am currently recommending here. If you do opt for Bluehost please use my affiliate link here and get Bluehost hosting for $3.95/mo. Here’s their page on SSL Certs. I personally get mine from Comodo. Have you had SSL issues with Aabaco? Same here. When Yahoo made the switch to Aabaco, I can no longer upload large files to my site. Filezilla just does not work, and none of the fixes work. I am now limited to 5M uploads. I am not at all happy with Yahoo. I switched my main email to hotmail also, as Yahoo mail had so many problems I could no longer deal with it. I don’t want to start over. I just want Aabaco / Yahoo to fix the mess they caused. Having the same problem today, 11/3/16. Said the certificate expired at 5pm today. 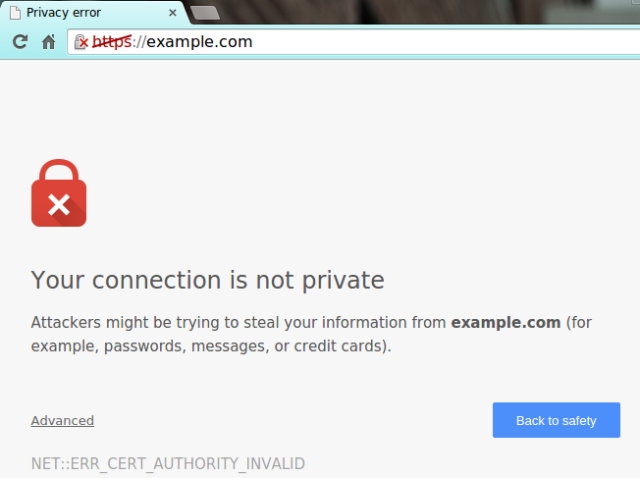 err_cert_authority_invalid…..